History has reawakened within Grand Central Terminal. 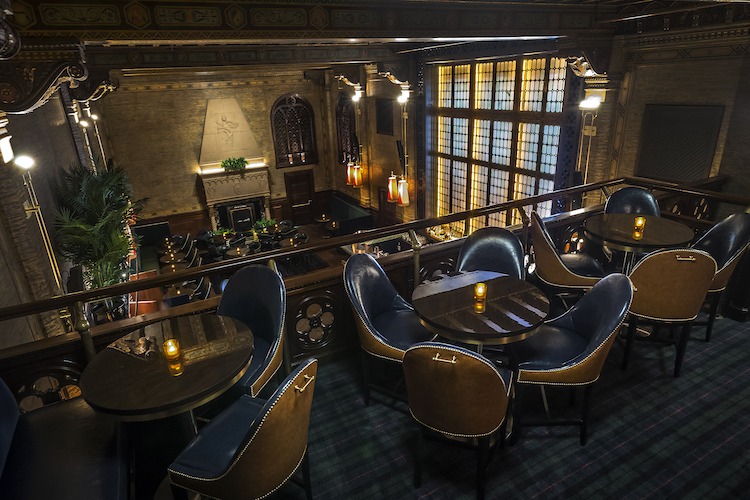 Hidden away in the southwest corner, the former Campbell Apartment reopened as The Campbell in May after being closed for nearly a year. In 1923, John William Campbell, a Jazz Age financier, held the space as his private office during the day. At night, Campbell transformed it into a reception hall where he entertained friends and colleagues. Gerber Group, the hospitality company that got the lease last year, kept this legacy in mind when restoring the historic landmark. Guests can grab a drink in three settings. 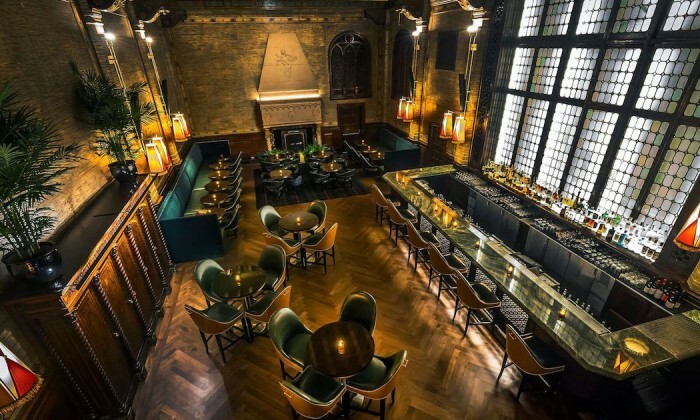 The former office, now dubbed the Campbell Bar, maintains the 13th-century Florentine-inspired designs, including a 25-foot hand painted ceiling and a grand stone fireplace. It comes complete with leather furnishings and an option for mezzanine seating for anyone who desires to enjoy a view from up above. Step into the cozier Campbell Palm Court (shown below) where palm trees bring a touch of tropics to East 42nd Street. 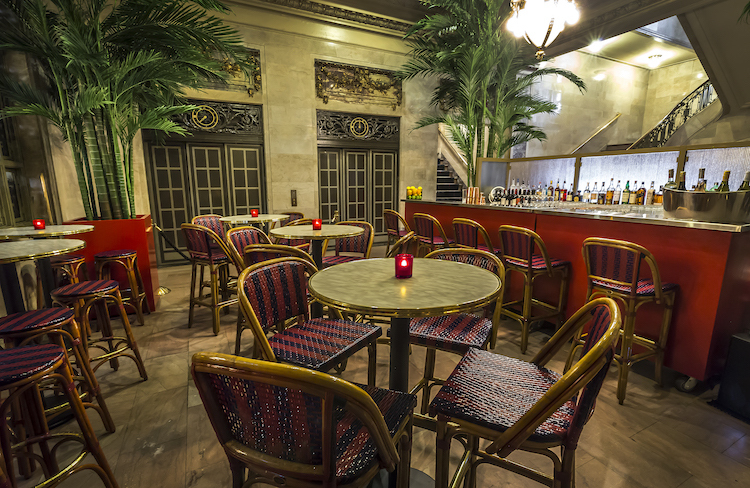 This smaller area includes Rattan bar stools and high top tables available for seating. 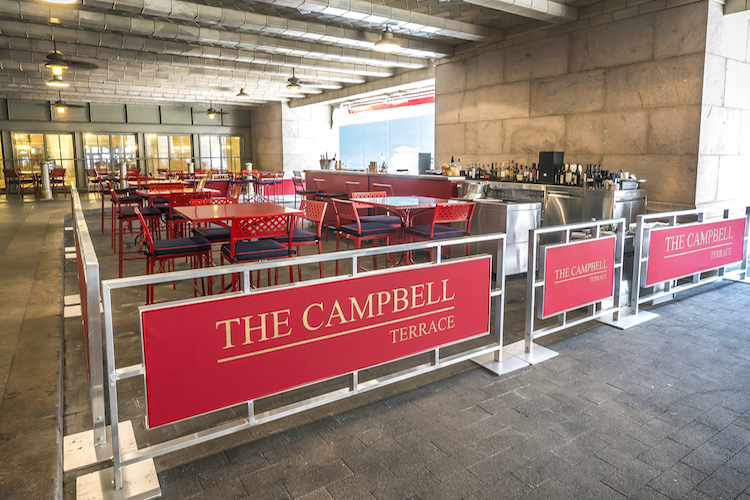 Warm days call for The Campbell Terrace, which was once a taxi stand. The area is a covered outdoor veranda with bright red tables and chairs with blue cushions. A more casual dress code and earlier opening (12pm-2am every day) may attract a bigger clientele than ever before. 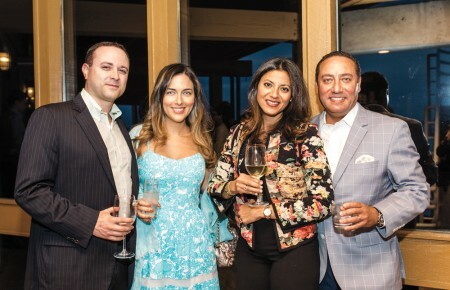 Same goes for the plentiful drink options with a variation of cocktails, mules, wines, beers and negroni. 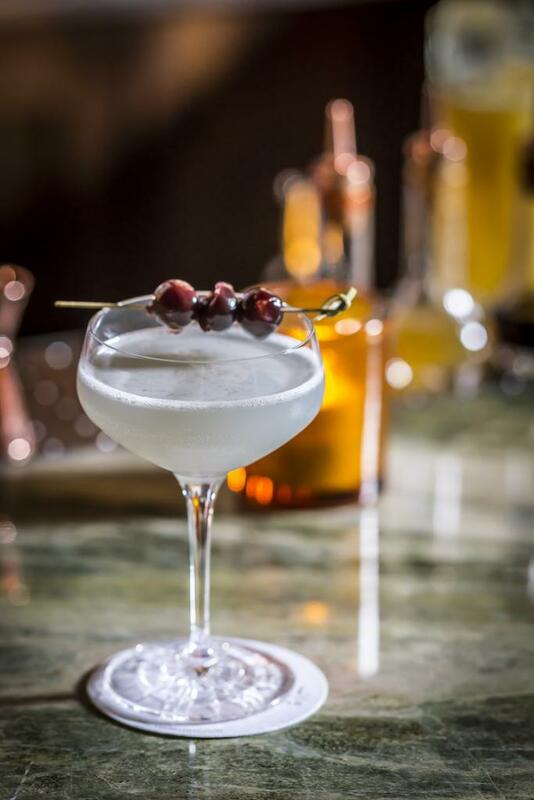 Sip on the Aviation (below) made with Nolet’s Gin, Crème de violette, Maraschino liqueur and fresh lemon. Or cool off with a Grand Central Spritz comprised of Grey Goose vodka, St-Germain and mint topped with Prosecco. Pair the drinks with a small bar menu that includes meatball sliders, deviled eggs, mini lobster rolls, chicken liver and foie gras pate. 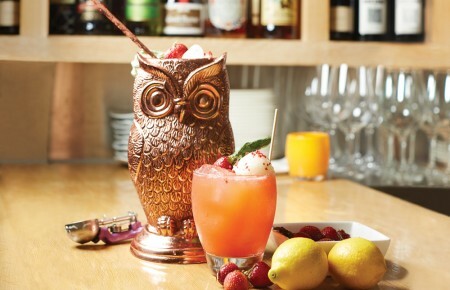 “Whether stopping by for a quick drink before catching a train, or making The Campbell a destination for a night of cocktails and great food, we are very confident that commuters, locals and tourists who visit Grand Central Terminal will be pleasantly surprised,” Scott Gerber, Principal and CEO of Gerber Group, said in a statement.